The responsibility of driving business productivity through people rests squarely on the shoulders of Human Resources, who develop processes to attract, engage, and retain talent. But in our increasingly digital world, HR has also become the owner of the “employee experience,” or the cumulative interactions, experiences, and feelings employees have at work. One of the key factors influencing your employees’ experience with your company is the technology you provide to them. But enterprise technology is rarely designed with employee experience in mind. SAP SuccessFactors knows that the experience of your employees is your competitive advantage, enabling you to create the engaged workforce that will drive your company’s success. We provide the tools and technology that support you in crafting an exceptional employee experience, delivering easy-to-use tools across multiple channels that help your people get things done. In the Q1 release we focused on enabling your on-the-go workforce with intuitive mobile capabilities designed to make their digital work experience easier, faster, and more secure. 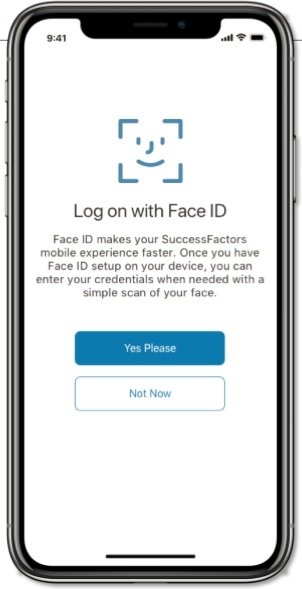 We enhanced the security of the SAP SuccessFactors Mobile app, enabling iPhoneX users to access the app via Face ID, similar to how they access other programs on their device. We enhanced performance and goal capabilities for your on-the-go employees. 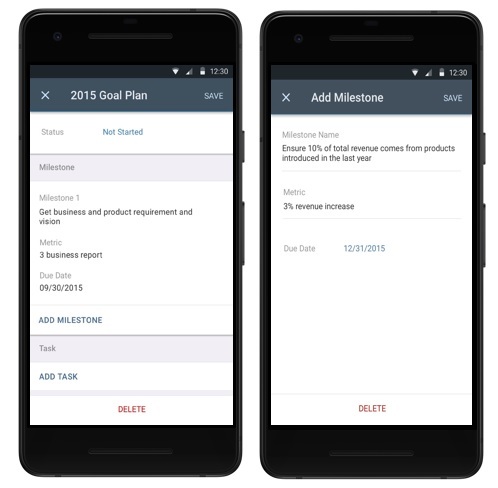 They can now add and edit critical goal details, like milestones, tasks, and targets, directly on their mobile device. Users of the iOS app can also now link these and development goals directly to their Continuous Performance Management achievements. Mobile learners can enjoy a number of features designed to help them better leverage the mobile-enabled resources available to them. They can now filter learning courses and assignments to view only those that are mobile-enabled, and download learning materials to continue accessing them offline. We also created easier access to time and attendance than ever before, with home page widgets available for both iOS and Android users. Using these widgets employees can enter their time, access their timesheet, and access the app for more detailed activity. To leverage these new capabilities and ensure that your employees have full access to data protection and privacy features on mobile, customers should upgrade to the most current release of the mobile app, available through the Apple App store, Google Play store, and the Amazon China Appstore. With these enhancements we are continuing to deliver a mobile app that connects, delights, and protects your employees, giving them an exceptional employee experience. Learn about other new features and enhancements across the full SAP SuccessFactors HCM Suite by checking out our Q1 2018 Release Highlights blog, reading our Q1 2018 Release Highlights document and hearing from our SAP SuccessFactors Head of Product Amy Wilson in our Q1 2018 release video on YouTube.